Exciting Three-book Deal for Jacob Sager Weinstein! There's a particular excitement to announcing an author's debut book—and an almost equal excitement to announcing their debut in a new genre or age group. The talented Jacob Sager Weinstein is no stranger to publication, but the children's book market is brand new for him.—Trust me, though: It won't be long before he's taking the kidlit world by storm. THE CITY OF SECRET RIVERS is a heart-stopping thrill ride of an adventure, starring a spunky twelve-year-old girl who has recently moved with her mother to London. In an inimitably hilarious, witty narrative packed with magical water faucets, overlarge communicative pigs, and sewer systems crackling with mystery, this novel sets a whole new tone for middle-grade fantasy. But don't just take my word for it! To my great delight, the publishing industry was in whole-hearted agreement about the potential for Jacob and for this terrific new series. I can now officially share that THE CITY OF SECRET RIVERS sold in a heated auction, and ended up in a three-book deal. The lucky editor? Diane Landolf at Random House! Book 1 will be publishing in summer 2017, so mark your calendars now. Have a peek at Parker Peevyhouse's new cover for WHERE FUTURES END. It's so intriguing! It's the story of five time-spanning, interconnected novellas of several teens that weave into a web connecting the present and future. Watch for it in February. Congratulations on a great and fitting cover, Parker! A Second Starred Review for A NEARER MOON! Reviews don't get much better than this! Publishers Weekly praises Melanie Crowder's A NEARER MOON for its "vividly observed setting, centered on a rooted and loving village community and that community's interdependence with the land and water, helps this simple-seeming story gain remarkable complexity and emotional resonance." This is a second starred review for A NEARER MOON and we couldn't be prouder. 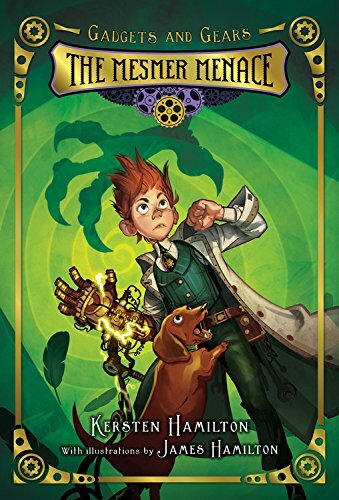 Look for this middle-grade novel's release on Septemeber 8th! Congratulations, Melanie! 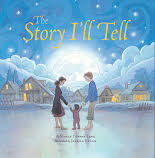 Take a look at the beautiful cover of Nancy Tupper Ling's THE STORY I'LL TELL! It makes us teary just looking at it--much less reading it. Illustrator Jessica Lanan has done an amazing job. Watch for this book from Lee and Low this November. Congratulations, Nancy! AUDACITY Receives Its Fourth Starred Review! It's a fourth (!!!) starred review for Melanie Crowder's AUDACITY! School Library Connection calls it "an excellent title that can open discussions in U.S. history and economics courses about women's rights, labor unions, and the immigrant experience." Bookpage gave it a starred review too, praising how it "throbs with the emotions of this exceptional young woman who fought for equal rights and improved labor standards in factories. Melanie Crowder's verses spit out Clara's rage, cradle her longing and soar like the birds that are her constant companions." AUDACITY is available in a bookstore near you. Congratulations, Melanie! 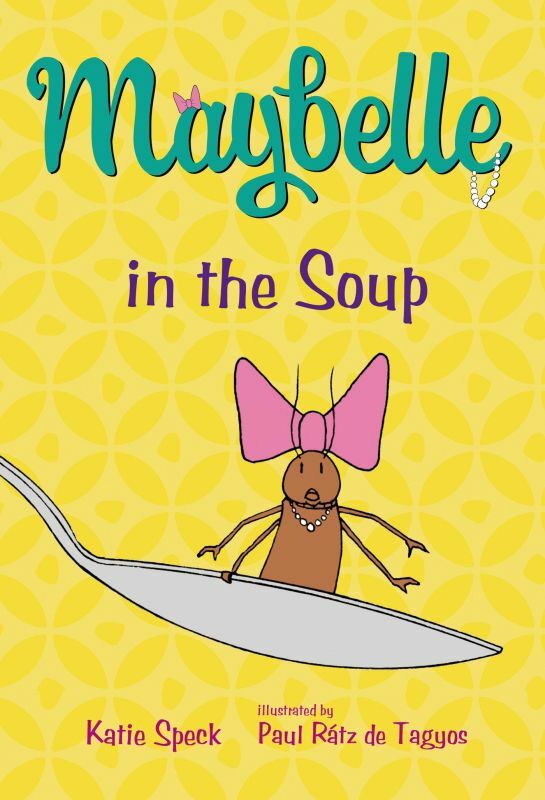 Please welcome into the world the fourth book in Katie Speck's Maybelle the Cockroach series! 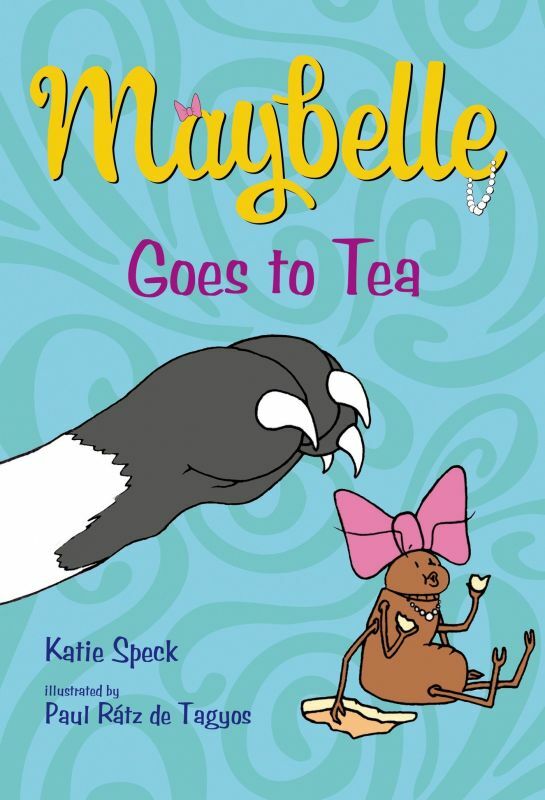 MAYBELLE GOES TO SCHOOL is now available and what's better than that? Having the other books come out in paperback on the same day with brand-new matching covers. Check it out! Congratulations, Katie and Maybelle! It's a third starred review for Lynda Mullaly Hunt's FISH IN A TREE! School Library Connection says Lynda Mullaly Hunt has written an unforgettable and uplifting middle grade novel... 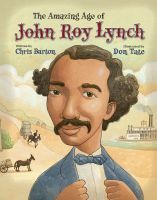 This novel is a must-have for any classroom and library." Such well-deserved praise! Congratulations, Lynda! We're thrilled to show off the newly-revealed cover of Cynthia Levinson's latest book, HILLARY RODHAM CLINTON: DO ALL THE GOOD YOU CAN. This amazing biography will be available in January so watch for it. Congratulations, Cynthia! Congratulations to Jeannie Mobley and SEARCHING FOR SILVERHEELS on winning a 2015 Colorado Book Award! SILVERHEELS shares the story of thirteen-year-old Pearl who waits tables at the Silverheels Cafe in a small Colorado mining town during the suffrage era. It's a powerful and entertaining story and we're thrilled about this recognition. Way to go, Jeannie! 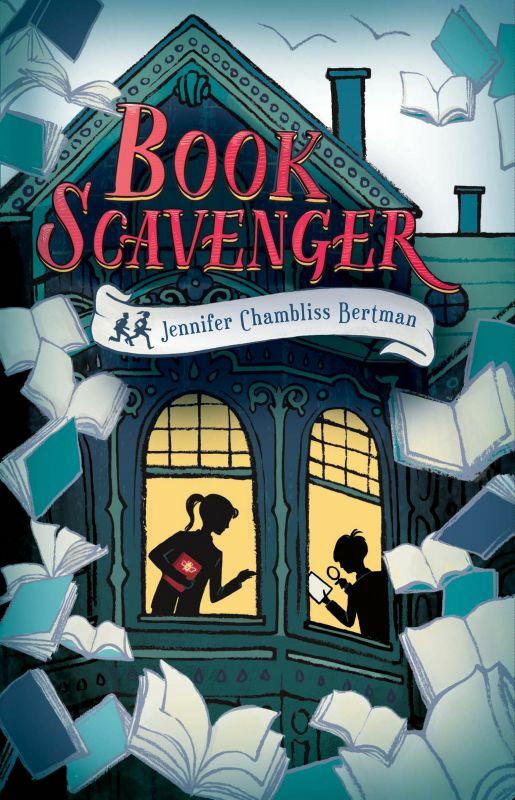 It's another starred review for BOOK SCAVENGER by Jennifer Chambliss Bertman! This time from Shelf Awareness. They say "fans of ESCAPE FROM MR. LEMONCELLO'S LIBRARY will appreciate the abundant literary allusions, and readers will hope for more adventures, hinted at in the book's final lines." Yes! We can look forward to a whole series of Emily's code-breaking fun. Congratulations, Jennifer! 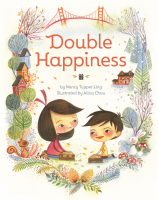 We're doubly happy about the starred review from Kirkus for Nancy Tupper Ling's DOUBLE HAPPINESS! They love this "gentle tale told in verse" and say it's a "thoughtful and moving story of memory and change." Congratulations, Nancy! Today's the day! As of this moment, you can pick up your copy of Christine Hayes' MOTHMAN'S CURSE. This great middle-grade mystery has received a lot of buzz, including a starred review from Kirkus. To add to the fun, check out all the happenings on the EMU's Debuts blog in honor of MOTHMAN'S release. Happy book birthday, Christine! SURVIVING MIDDLE SCHOOL Has a Cover! Luke Reynolds has another great cover to share! SURVIVING MIDDLE SCHOOL: NAVIGATING THE HALLS, RIDING THE SOCIAL ROLLER COASTER, AND UNMASKING THE REAL YOU says it all with a pair of shoes. We love it! It's so fitting. (Plus, who doesn't love a good pair of Converse?) Watch for this one next summer. Congratulations, Luke! Hop on over to Jen Bigheart's Blog to catch Janet Fox's cover reveal of THE CHARMED CHILDREN OF ROOKSKILL CASTLE. What a cover! It exudes mystique. Congratulations, Janet! 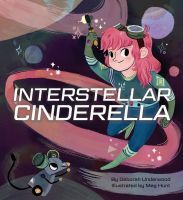 It's another starred review for Deborah Underwood's INTERSTELLAR CINDERELLA! Booklist has so many nice things to say, it's hard to pick one quote. They say it's "a joy to read aloud" and "this cheery tale is an empowering paean to following dreams, whatever they may be." Wow! This is a picture book you'll want to share with the powerful kids in your life. Congratulations, Deborah! Let's have both! Chris Barton's latest picture book to go under contract BOOK OR BELL, which portrays a kid I suspect most of us in publishing and writing will identify with: A kid who just. Can't. Put. Down. His. Book. It's too good! He loves it too much! He just wants to stay where he is and reads, even if the bell has run and he's supposed to go somewhere else. Soon the entire school is in an uproar because one cog in the well-oiled machinery isn't moving...and all because of a book. Mary Kate Castellani at Bloomsbury has signed the text up and matched it with illustrator Ashley Spires for a spring 2017 publication. This is gonna be gooooood! 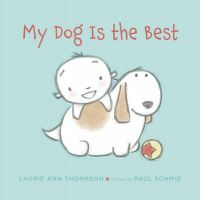 Here's wishing Laurie Ann Thompson and her very special picture book, MY DOG IS THE BEST, a happy book birthday! Pop on over to EMU's Debuts for all kinds of book release fun. Congratulations, Laurie! 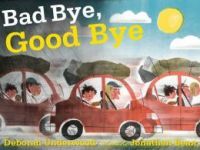 Even better, this picture book has been signed by Kate O'Sullivan at Houghton Mifflin Harcourt, who also published Deborah's THE QUIET BOOK, THE LOUD BOOK, THE CHRISTMAS QUIET BOOK, and BAD BYE, GOOD BYE. And she's tapped Jared Chapman to illustrate! This deal announcement is all about persistence! Darcey Rosenblatt's debut novel, KEY TO HEAVEN, is about a 12-year-old boy living in Iran in 1982, who joins the army because he doesn't see another path available. He ends up in an Iraqi prisoner of war camp with a lot of other teen and pre-teen boys, and always, always, he holds onto his love of music. That music and his own persistence and desire to be free set him on a path away from the prisons he's been locked in, both literally and figuratively. The power of persistence applies to Darcey as author, as well. Looking back through my correspondence, I see that Darcey first queried me about this novel in 2008! The years between then and now were full of Darcey learning her craft, finding mentors, taking chances, getting critiques, and revising revising revising. The result of all that persistence is that Darcey will see her very first novel published in a year and a half! The wonderful Sally Doherty at Holt has signed up KEY TO HEAVEN with the kind of unshakable belief and passion that makes you believe this book can do anything and become everything. I'm so excited to have some great news to share—a brand new YA book deal for the ever-talented and exuberant Laurie Boyle Crompton! You will know Laurie as the author of the breezy yet heartfelt (with just a touch of iconoclasm) novels BLAZE, OR LOVE IN THE TIME OF SUPERVILLAINS, and THE REAL PROM QUEENS OF WESTFIELD HIGH; and from the richly stirring ADRENALINE CRUSH. This new deal takes a slightly different path: it's the contemporary story of a girl whose obsession with painting graffiti lions in out-of-the-way places leads her in some wholly unexpected directions. A read full of heart and romance and self-discovery—in short, a not-to-be-missed read. GRAFFITI GIRL was acquired by Aubrey Poole at Sourcebooks Fire, and you can look out for it on shelves in winter 2017. A Four-Book Deal for New Client, Debbi Michiko Florence! We're so delighted to announce Debbi Michiko Florence's four-book chapter book series deal with Grace Kendall at FSG today! It is such a happy story. Grace fell head over heels with Jasmine, and so lucky readers will get FOUR books starring Jasmine Toguchi starting in Spring 2017. Debbi's heroine longs to help with the Japanese New Year celebrations, and finds out a great deal about her family and herself in the process. And that's just the first book, entitled JASMINE TOGUCHI, MOCHI QUEEN! Debbi is a wonderful writer (this is her second chapter book series now under contract; her other series starts pubbing from Capstone in fall 2016), a fabulous person, and along with her pet ducks, Darcy and Lizzy, enjoys life to the fullest. Congratulations, Debbi! We're so thrilled for you! 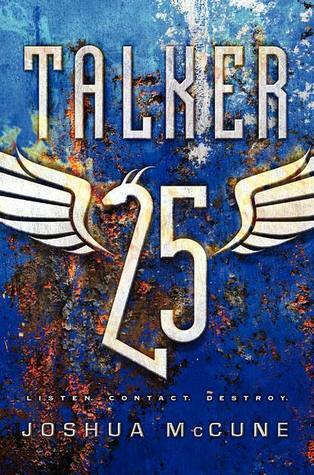 BOOK SCAVENGER, *TWO* TALKER 25 Books, and THE MESMER MENACE All Release Today! Join us in a bandstand-style welcome to Jennifer Chambliss Bertman's BOOK SCAVENGER and Joshua McCune's TALKER #2: INVISIBLE MONSTERS! As if that wasn't good enough news, two paperbacks come out today as well! We're so pleased to have Kersten Hamilton's THE MESMER MENACE and Joshua McCune's TALKER 25, Book 1 (a big day for Josh!) available to the world. Four books in one day--what a treat! If you have time, wish them well and also stop by EMU's Debuts, where they're welcoming BOOK SCAVENGER with tons of fun. Congratulations, our wonderful authors!